Nour is co-founder of Paris based luxury label specializing in studded, fringed and fur trimmed leather jackets. 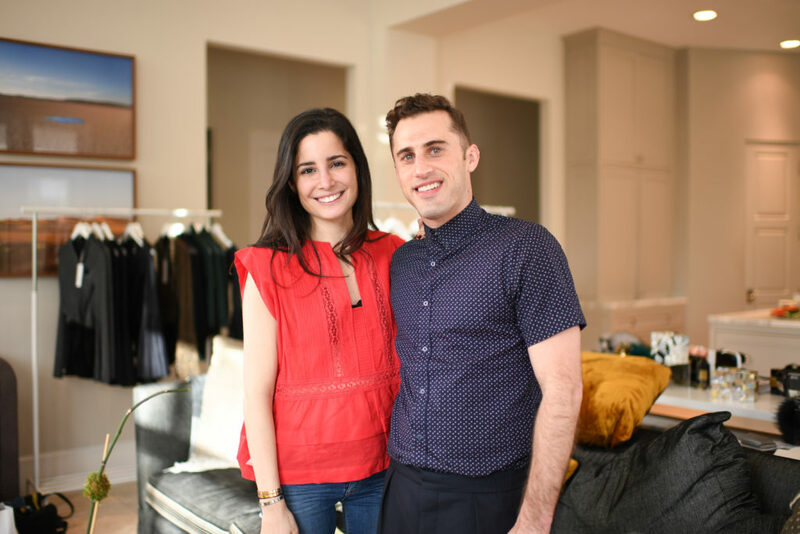 Nour and her partner, Erin Conry Webb founded the label in 2013. Since its’ inception, Nour Hammour has reached cult status from women around the world. Nour and her beautiful collection were part of InTwo’s Winter Event 2017. How did you get started? What was the first jacket you created? I used to stud my own leather jackets as a hobby when I was in college- soon friends started asking me to stud theirs and then friends of friends and strangers, until I was studding 3 or 4 jackets a week! I knew there was a place on the market for cool and edgy leather jackets. When I met Erin Webb while we were both doing our Masters at Instituto Marangoni in Paris, we decided to start the brand. The first jacket we made for Nour Hammour is the collarless biker jacket with tone on tone studs that is still our bestseller today! The Erin jacket. What had been one of your toughest challenges as a young woman starting your own business? It was very hard to be taken seriously by Leather manufacturers, who were very much used to dealing with men. Over time we have found manufacturers that we really trust and love working with. What has been one of the biggest highlights of your career so far? Having Ken Downing check out our collection last season and love it was incredible. Since then we have been picked up by Neiman Marcus for 20 locations and that is just so exciting for us. Persistence is the one thing you really need when you are starting a brand. It is so easy to be let down, and you will be hit with disappointments every single step of the way, but if you stay persistent and you are genuine and passionate about what you are offering, you will make it. Where is your favorite escape? Walking around and discovering a new city with my husband and son!